Did someone call for a badass mage to stop petty nobles from squabbling and face the real threat--unbridled Chaos? A marriage between the heirs of the Fantasy Federation and the Factory Alliance should have led to the creation of the greatest symbol of peace ever imagined--the Grancrest seal. But when tragedy strikes the wedding, Siluca Meletes finds herself with no choice but to forge a new future for the world. With the aid of a knight errant with great potential, she will go against the world's order to achieve peace through the magical power of crests. 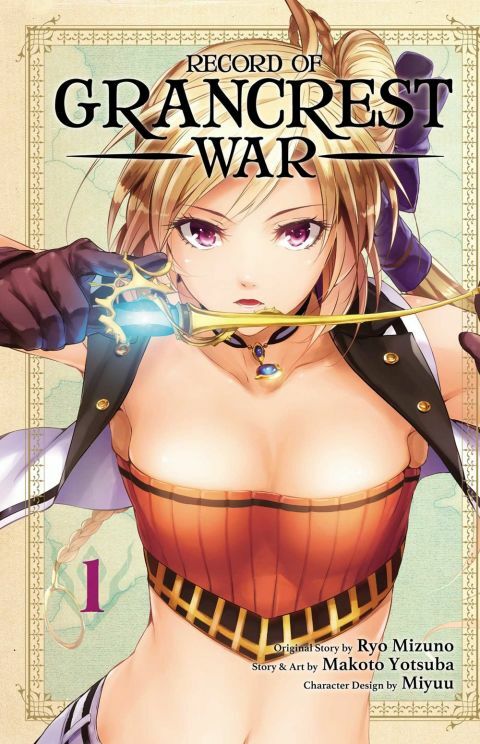 Other products for "Record of Grancrest War" in "Books"